Hello you! I hope you're doing well on this lovely Sunday. This afternoon I went to the tanning salon because it's been a while. I like to go at least once every one or two weeks during the winter/early spring to relax, but the last time I went was almost a month ago. And since I've been very lazy with the self tanner (oops), off to the salon I went! I would be lying if I said I only went to tan. To be honest my acne has been flaring up again lately, and I've been very self-conscious about it. I really don't like looking in the mirror and not feel happy about my skin. The tanning bed always seems to help clear up my face a bit for some reason, and it made me wonder if any of you ever tried sunlight/UV against acne? I thought tanning beds were outlawed :) at least they are in my country, I think. Probably depends on the country. They are legal in the US, in most states anyway. That's interesting! They're legal in both the Netherlands and Norway. 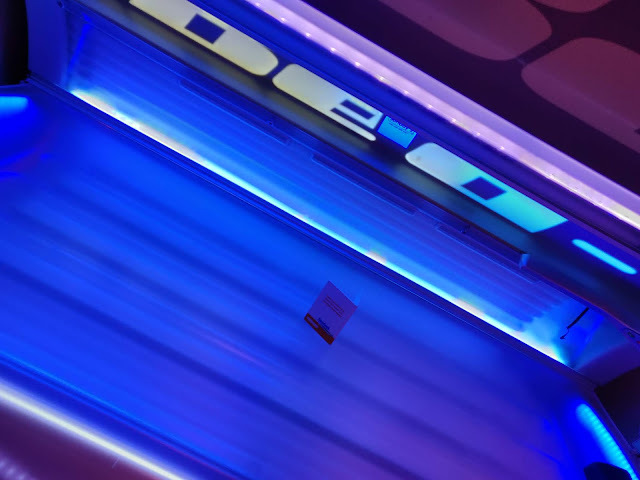 Of course it's not good for your skin to go too often, just like it's not healthy to be out in the sun too much, but tanning beds can really improve certain skin conditions and help produce vitamin D.
Nunca usei UV para acne. Mas fiquei curiosa com isso! Sounds like a great way to spend a Sunday. NEW REVIEW POST | MAC PREP + PRIME: WORTH IT?! Seu domingo foi muito bom hein? Adorei a postagem! Very interesting! Did it completely clear up her eczema, or just a little bit? Did she use any other products for it? Yes- I've heard UV light can help with a lot of skin conditions like acne, psoriasis, eczema, etc. 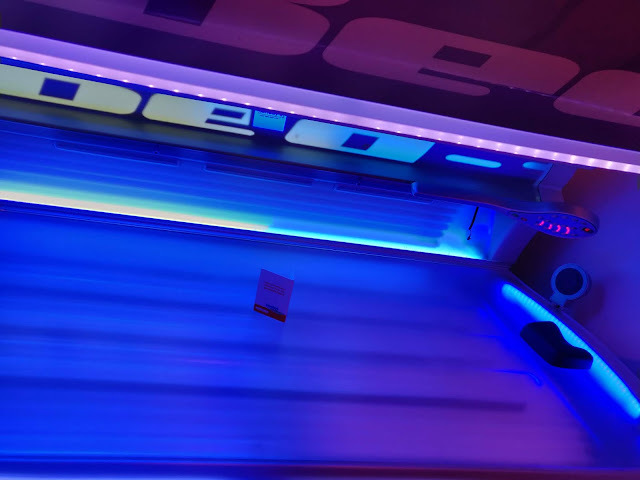 I used to tan all the time in high school and college, but now have full converted to self-tanner and spray tans- although there's nothing like a warm tanning bed in the winter! Oooh this is really interesting cause I've heard once that UV ray/sunlight help fight acne. I never did much research behind this on why that is. Maybe I can try getting some extra sun on days when I'm feeling more breakouts. I have never been to a tanning bed salon so I don't know. Are these still safe? I thought I read that they were no more safer than being naturally exposed to the sun. Not sure. Just be careful! I also find my skin is much better during the sunnier months of the year, though please be careful with the tanning beds babe!! Oh that's interesting, I've never been to a tanning bed salon and I haven't heard of it clearing up acne. Hopefully your acne clears up too!